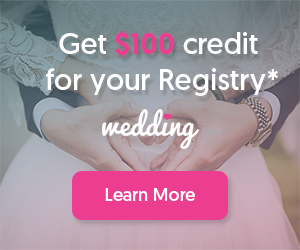 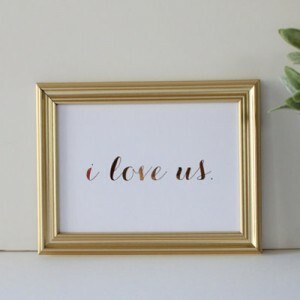 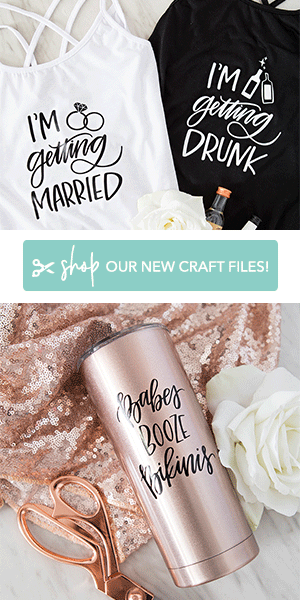 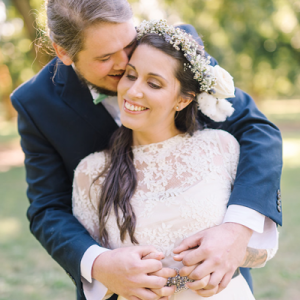 Hi, brides and grooms! 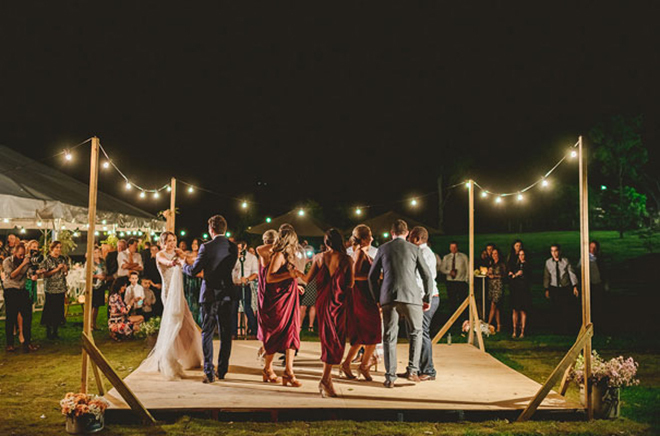 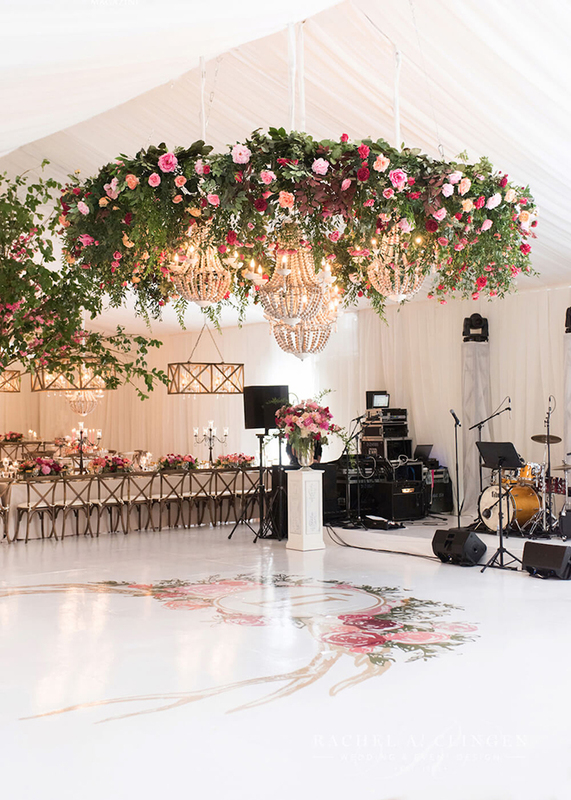 It’s Lauren from I Love Love Events here with some fabulous ideas to make your wedding dance floor unique to you. 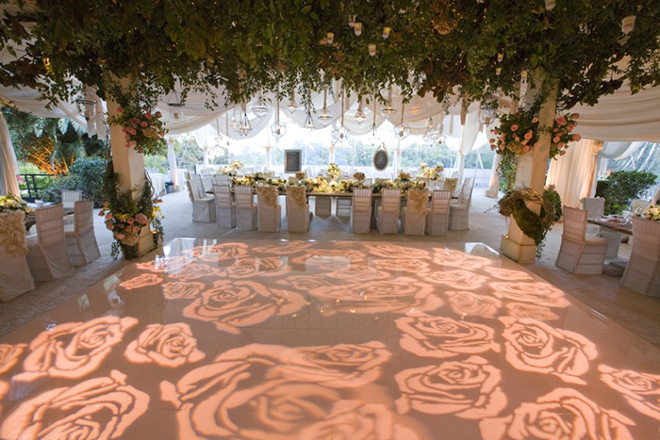 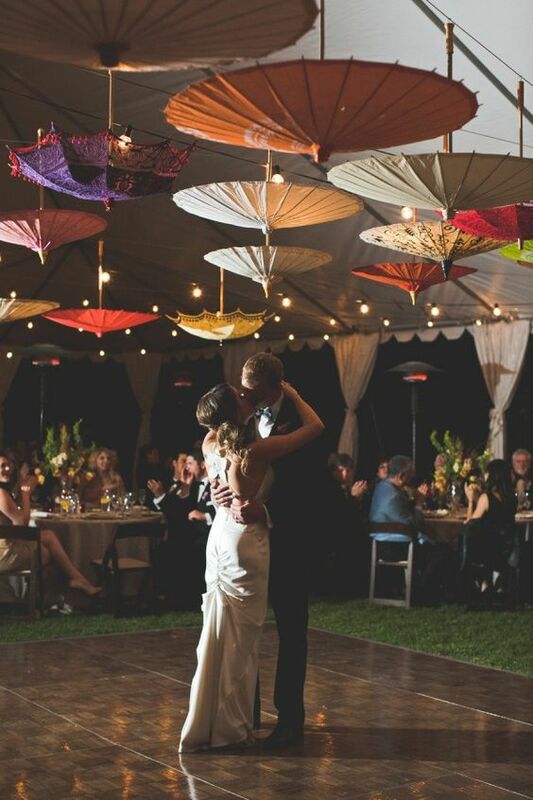 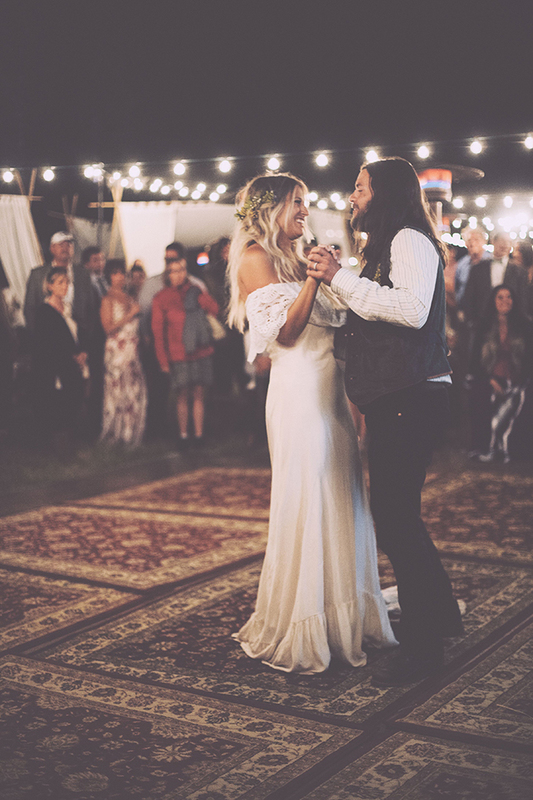 Next to your alter, your dance floor is one of the most important spaces of your wedding. 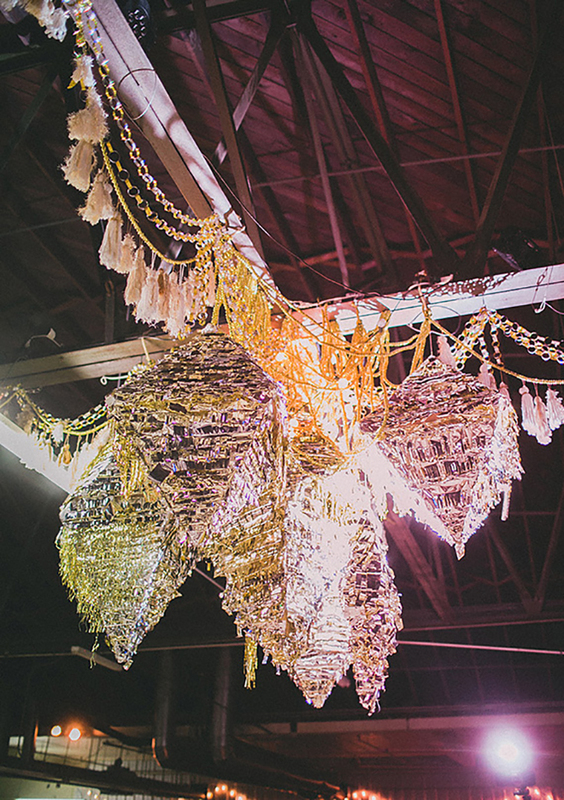 It will be photographed throughout the day and into the night. 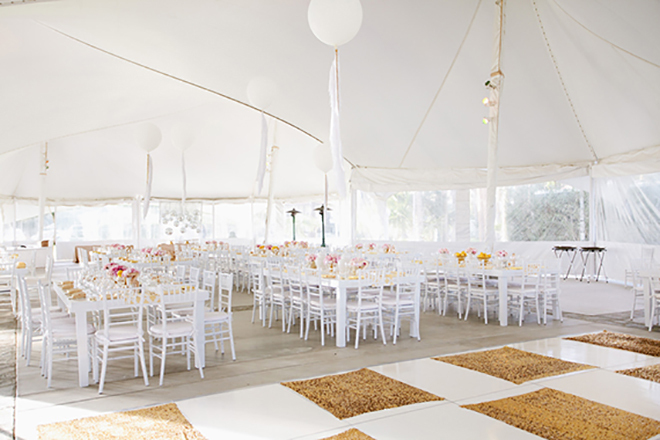 You want an inviting place for guests to break it down all night long. 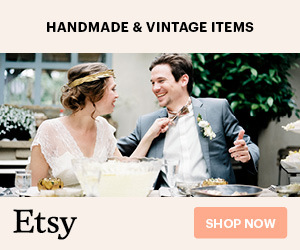 Lucky for you, the options are seemingly endless these days. 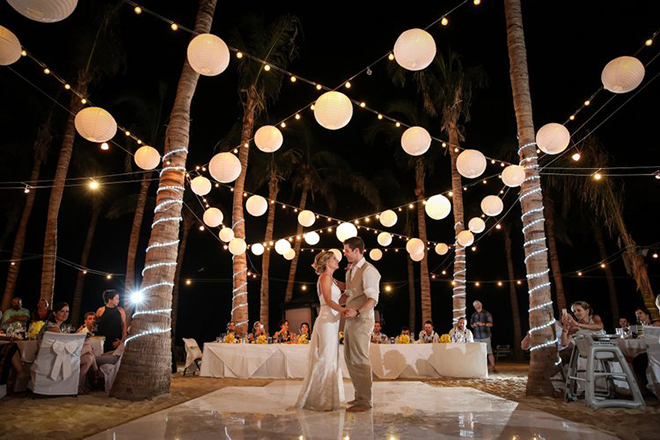 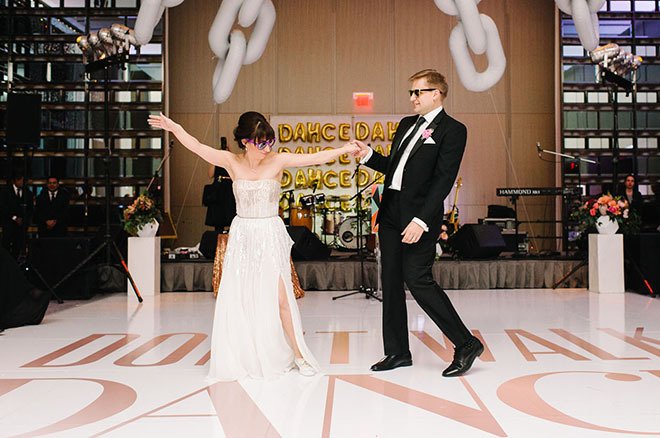 Customizing the dance floor has come a long way beyond monogrammed lights. 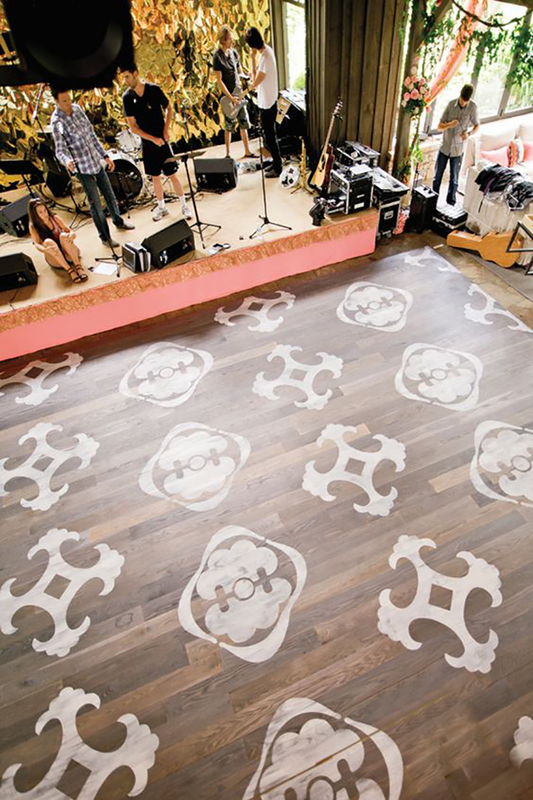 Now you can add a vinyl logo or pattern on the floor or you can go the route of suspending an installation or unique lighting. 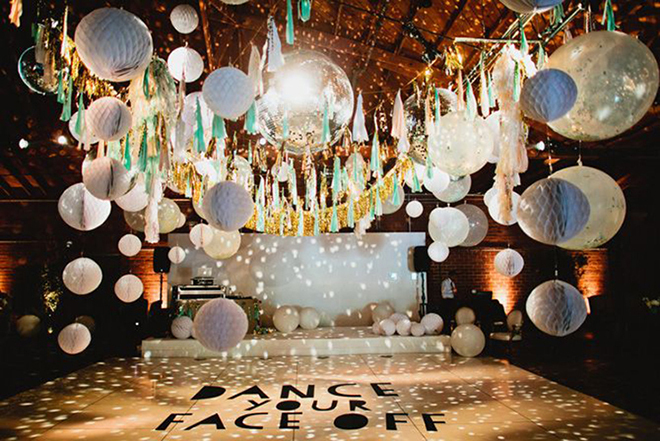 Strung lights, a disco ball or chandeliers are just a jumping off point to make a fabulous statement in your decor. 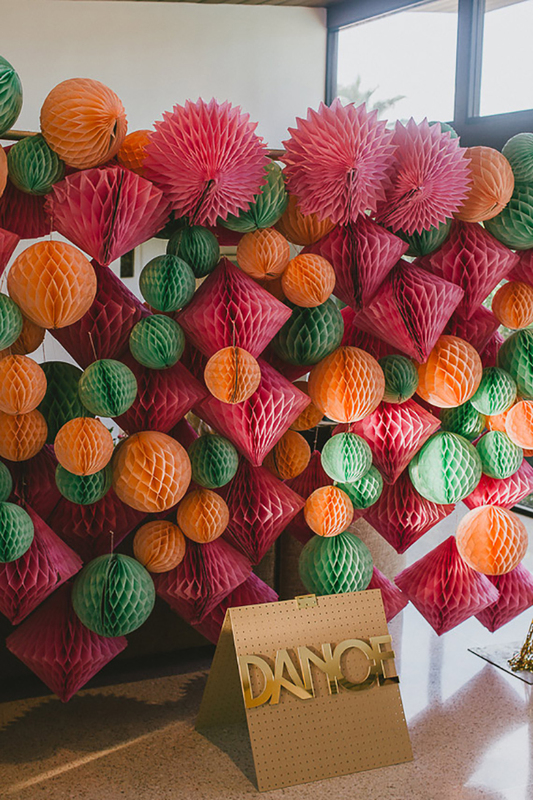 Keep scrolling to see lots more great ideas below! 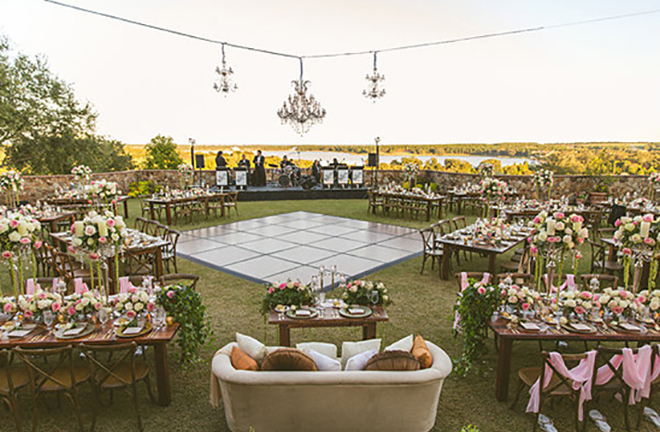 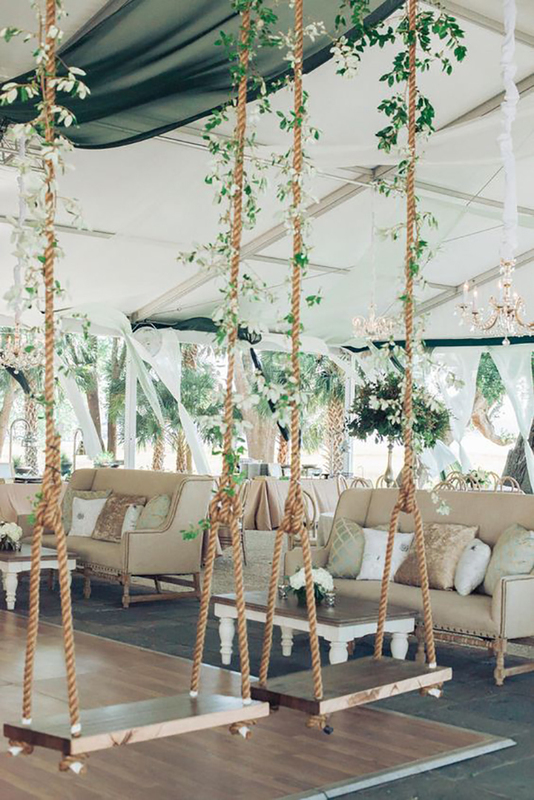 CAN YOU IMAGINE A MORE LOVELY PLACE TO VIEW A DANCE FLOOR THAN A SWING!? 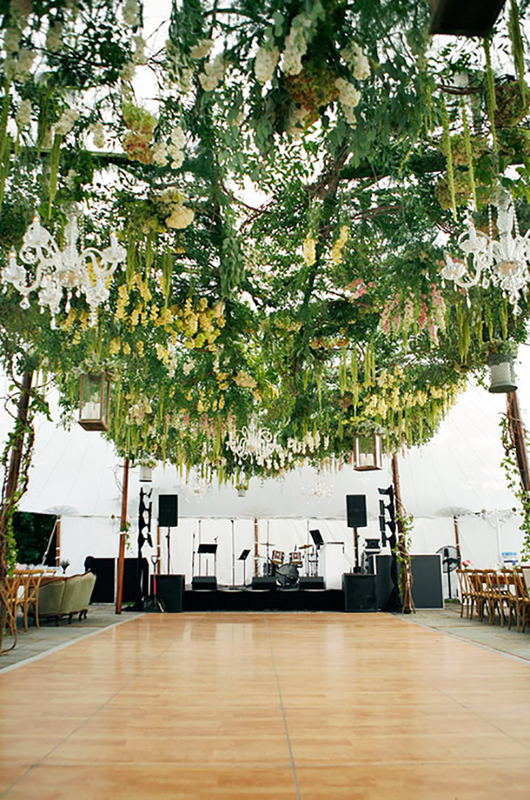 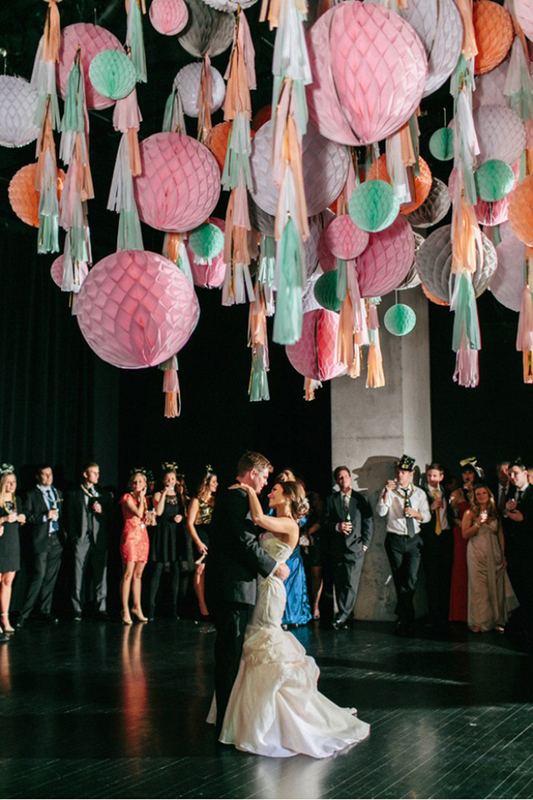 THIS HANGING GARDEN WILL MAKE YOU WANT TO DANCE ON THE CEILING!